Consumers Union, the policy arm of Consumer Reports, opposes SB 27 (Hill), which seeks to address the overuse of antibiotics in meat production. Consumers Union believes that SB 27 is weak and will not meaningfully diminish the daily feeding of antibiotics to healthy food animals, a practice that is leading to the ineffectiveness of medicines to treat human disease. There are two basic problems with SB 27. First, it sanctions use of medically important antibiotics for disease prevention—Consumers Union supports use of antibiotics only to treat sick animals, not to prevent disease in healthy animals. The use of antibiotics to prevent disease is supported only under certain very narrowly defined circumstances. Second, the data reporting part of the bill does not require reporting of total quantity of antibiotics used. 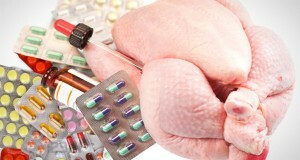 Currently, 80% of all the antibiotics produced in the U.S. are used in the production of meat. Consumers Union supports the Oregon bill (HB 2598) and the Congressional bill (PAMTA) as they both outline the definition of “nontherapeutic use” and the narrow exemptions for when such use may be permitted. In the Oregon bill, “nontherapeutic” use (which includes disease prevention) is permitted only if: 1) there is a significant risk of a disease or infection that is present on the premises being transmitted to the food-producing animal; 2) the administration of the medically important antibiotic to the food-producing animal is necessary to prevent transmission of the disease or infection; 3) the medically important antibiotic is provided to the food-producing animal for the shortest duration necessary to prevent transmission of the disease or infection, and 4) the medically important antibiotic is provided to the smallest number of food-producing animals necessary to prevent transmission of the disease or infection. In PAMTA, “nontherapeutic” use is permitted only when the application for use or the Agency demonstrates that there is a reasonable certainty of no harm to human health due to the development of antimicrobial resistance that is attributable in whole or in part to the nontherapeutic use of medically important antibiotics. PAMTA outlines “non-routine disease control” as the use of antibiotics on an animal that is not sick but where it can be shown that a particular disease or infection is present, or is likely to occur because of a specific, non-customary situation, on the premises at the barn, house, pen, or other level at which the animal is kept.